What would you keep in Datchet? 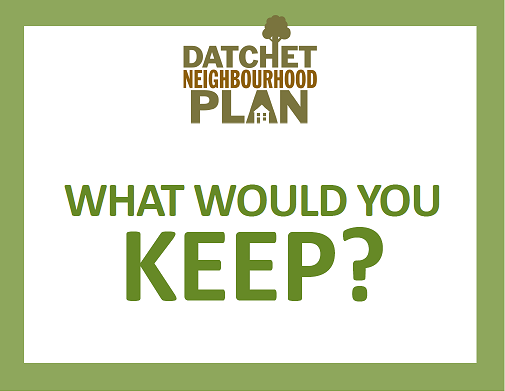 Your responses will help to shape Datchet's Neighbourhood Plan. 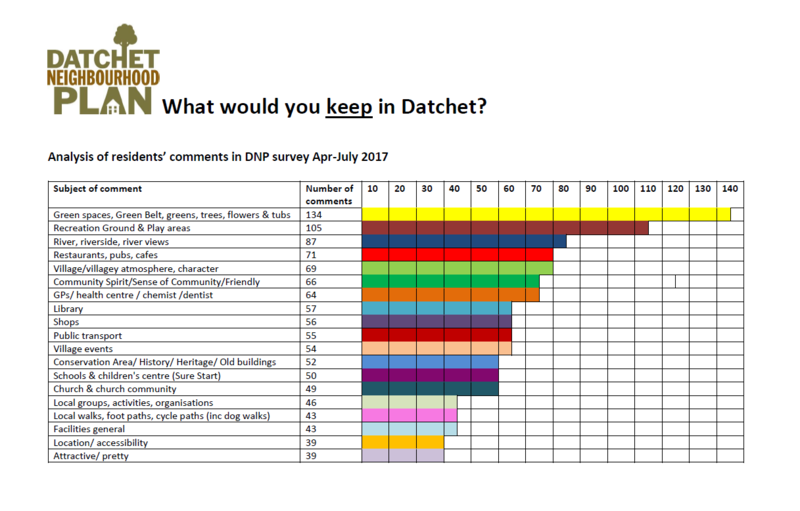 The Datchet Neighbourhood Plan survey ran from April to July 2017 and asked people who live and work here what they think about the village. The green spaces, including the village greens, Green Belt, trees, flowers and tubs, riverside and river views. 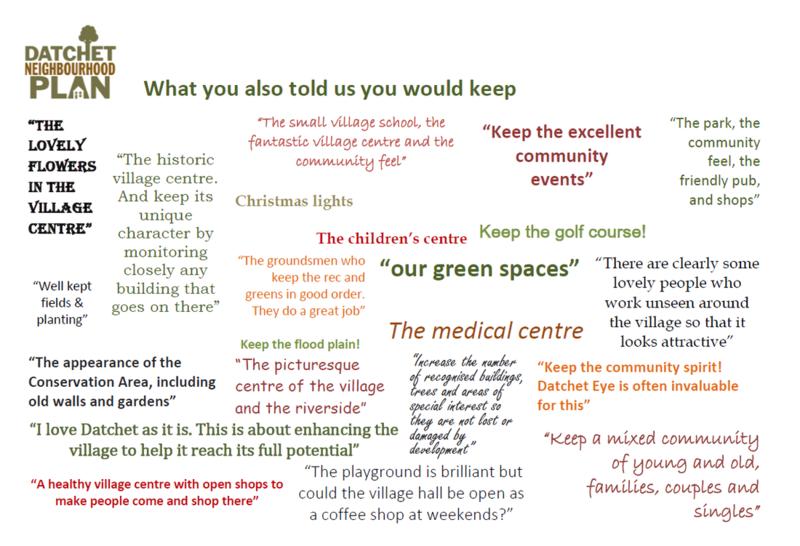 A good many people said they'd like to keep the village just as it is!